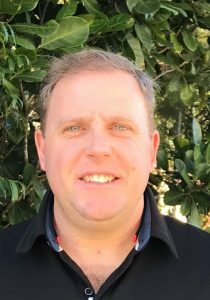 ARCPANEL is delighted to announce the appointment of Brad Collyer as Account Manager to join its Sales and Customer Service Team in Sydney. Brad has been brought on board to service the Sydney metropolitan area and regions stretching to the north to South West Rocks & NSW regions to the west. Brad has worked in the Landscape and Construction Industry for the last 24 years. From design and construct landscaping project to design and quotation of Synthetic Grass and Rubber surfaces and recently working in sales and specifications of composite cladding, decking and interior ceiling linings for both commercial, residential and government sectors. Over the years Brad has had dealings with architects, builders, project managers and home owners which he has successfully provided a great level of service and communication to all parties. Brad also adds, “I am excited to be working with such an enthusiastic, committed and dedicated support team. This will ensure great outcomes and even better finished results”. Peter Kelly, Director & General Manager of ARCPANEL said, “We are very excited to welcome Brad on board to grow our team of talented people. For more information, please contact us or call 1300 200 004.